Harvard's School of Public Health will be renamed in honor of T.H. Chan. It's one of the biggest donations ever to an American university. 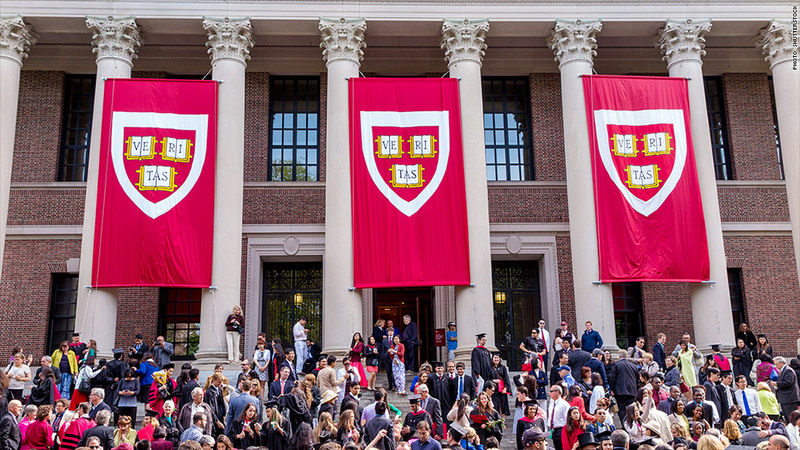 Harvard just landed a record $350 million pledge from a wealthy Hong Kong family. The pledge from the Morningside Foundation will help support Harvard's School of Public Health, the university said Monday. It will be the largest donation that Harvard has ever received. The foundation is the charitable arm of the Morningside Group, a private equity and venture capital firm run by the descendants of T.H. Chan, who founded one of the largest real estate firms in Hong Kong during the 1960s, including Gerald and Ronnie Chan. Gerald Chan, who earned a masters degree from the School of Public Health in the 1970s, said the gift will help students and policymakers "improve human health throughout the world." Speaking at a press conference, Gerald Chan described how his mother, a registered nurse, would vaccinate neighborhood children against Cholera in the kitchen of his family's Hong Kong home during the 1950s. He also told of how his father helped pay for young Chinese students go abroad for education. "These actions were powerful examples," he said. "It is therefore most fitting that a school should be part of his legacy." Harvard said the School of Public Health will be renamed in honor of the late T.H. Chan. The bequest will help fund research on global health threats, including pandemics such as the Ebola virus, according to Dean Julio Frenk. The funds will also be used to study the harmful effects of air and water pollution, gun violence and tobacco, as well as programs to address humanitarian crises and substandard health systems around the world. "The Chan family's transformational gift will help us empower current and new generations of talented and diverse students and faculty to address the complex health threats challenging the US and the world," said Frenk. The contribution is one of only a few totaling hundreds of millions of dollars, according to the Chronicle of Higher Education. The California Institute of Technology received a grant in 2001 worth $600 million in cash and stock over 10 years from the family of Intel (INTC) co-founder Gordon Moore.. More recently, former New York City Mayor Michael Bloomberg pledged $350 million to his alma mater, Johns Hopkins University, last year.